Harry secures Kim her very first "real" job as a sales assistant in a trendy fashion boutique. Lucy is skeptical about Kim taking on such a responsibility, and attempts to give her daughter a few tips on how to make a good impression. Kim gets commissions for every piece of clothing she sells. Lucy figures "the more I buy, the more I save!". 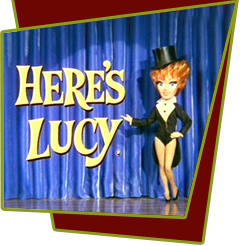 Lucy decides to patronize the boutique in order to bolster Kim's commissions, and eventually performs an impromptu fashion show at a nearby restaurant, much to the dismay of both Harry and Lucy's son Craig. Special Notes: This is the first episode that spotlights Kim.